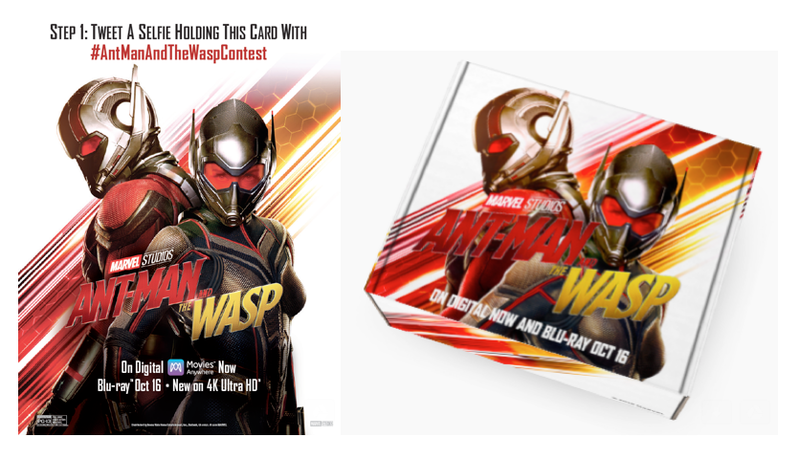 The hunt is on with the official Ant-Man And The Wasp Contest, hosted at the Marvel booth in NYCC on Friday, Oct 5 from 10:00am to 5:00pm or as soon as all prizes are claimed. We are giving away 500 branded prize boxes filled with Hasbro Toys and a set of pins from DMR. We will also have two grand prizes: AM&TW skinned XBOX. To enter the contest, fans will need to tweet a selfie with the below flyer, which will be handed out on Friday at the Marvel booth, and include the hashtag #AntManAndTheWaspContest in their post. At that point, each participant will receive 3 additional challenges. Each challenge must be completed by tweeting a video or photo. Upon completion of all tasks, the potential winner(s) will be notified to return to the Marvel booth to claim their prize. The first 500 that arrive back at the booth will get a prize. Be sure to stop by the Marvel booth for a special video featuring Paul Rudd inviting fans to participate in the contest.